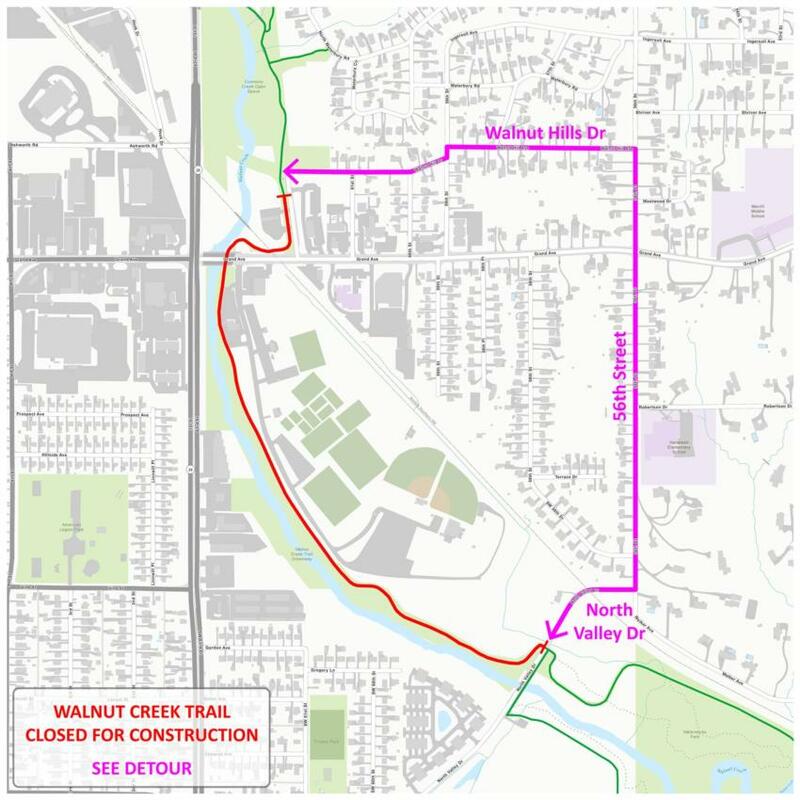 A portion of the Walnut Creek Trail will be closed due to ongoing streambank stabilization work. This will close the trail from Grand Ave. south to North Valley Drive until late January. Trail users are advised to use this detour until work is completed.